يقع في بيالبا, Emeraldene Inn and Eco Lodge إنه المكان الأنسب لاكتشاف خليج هيرفى و ما يحيطها. يقع الفندق على بعد 3.5 Km من مركز المدينة، ويؤمن الوصول إلى أهم مراكز المدينة. سوف يعشق النزلاء موقع هذا الفندق، فهو قريب من أهم المعالم السياحية في المدينة كمثل سكروب هيل فارم, باي 4 دبليو دي, اوزي تراكس . إن الخدمات التي يقدمها Emeraldene Inn and Eco Lodge تضمن للنزلاء إقامة مريحة. هذه بعض الخدمات الموجودة في هذا الفندق: واي فاي مجاني في جميع الغرف, خدمة التنظيف يوميًا, خدمة حجز التذاكر, مجهز لذوي الإحتياجات الخاصة, مرافق مخصصة لذوي الاحتياجات الخاصة. استمتع بوسائل الراحة الراقية في الغرف أثناء إقامتك هنا. بعض الغرف تتضمن تلفزيون بشاشة مسطحة, اتصال لاسلكي بشبكة الإنترنت (مجاني), غرف لغير المدخنين, مكيف هواء, تدفئة لمساعدتك على استعادة طاقتك بعد يوم طويل. سواء كنت من محبي الرياضة أو كنت تتطلع لتفريغ عناء نهار صعب، ستجد خدمات ذات مستوى عالي بانتظارك كمثل مسارات المشي, مسار جولف - ضمن 3 كم, حمام سباحة خارجي, حديقة. إن Emeraldene Inn and Eco Lodge هو مكان مثالي للمسافرين الذين يتطلعون إلى الراحة والاستجمام في خليج هيرفى. Although it's a little off the beaten path, the Emeraldene Inn & Eco-Lodge, true to its name, is a jewel of a property. Enveloped in lush tropical foliage -- home to a number of exotic birds including chatty parrots -- the motel is an oasis in the midst of a major business district. Given the peaceful surroundings, you would not know that a major highway and hospital run alongside its perimeter. The rooms are clean and quiet, night or day, and comfortable without being fussy. We appreciated the complimentary coffee, tea and milk, as well as having access to a microwave and mini-fridge. 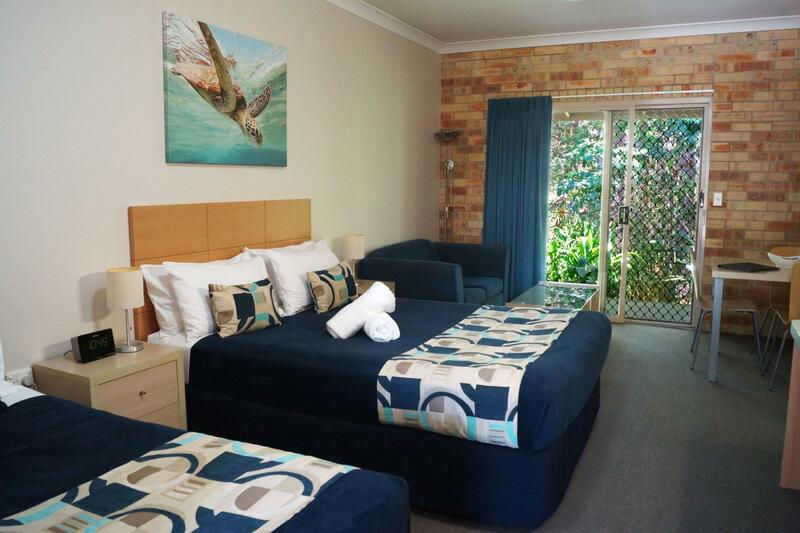 Although the lodge is not within walking distance of *downtown* Hervey Bay, it has made arrangements with a number of local businesses to offer free transportation to its guests. This is a savings of some $30 per one-way trip. We chose the Emeraldene as a stopping point before a week-long excursion to Lady Elliot Island Eco-Resort and it's a great option for those making that same journey. In defense of its location, Hervey Bay doesn't have a central shopping or recreational district. It is actually six small cities strung out along a 12-mile bay front. The best meal we had was at the Hervey Bay Beach House with its water view and scrumptious seafood. It is one of several restaurants that offers a free ride to and from the Emeraldene. But what makes the motor inn truly special is its hospitality, courtesy of Lina Kasjan, who goes above and beyond to make her local and foreign visitors feel at home. 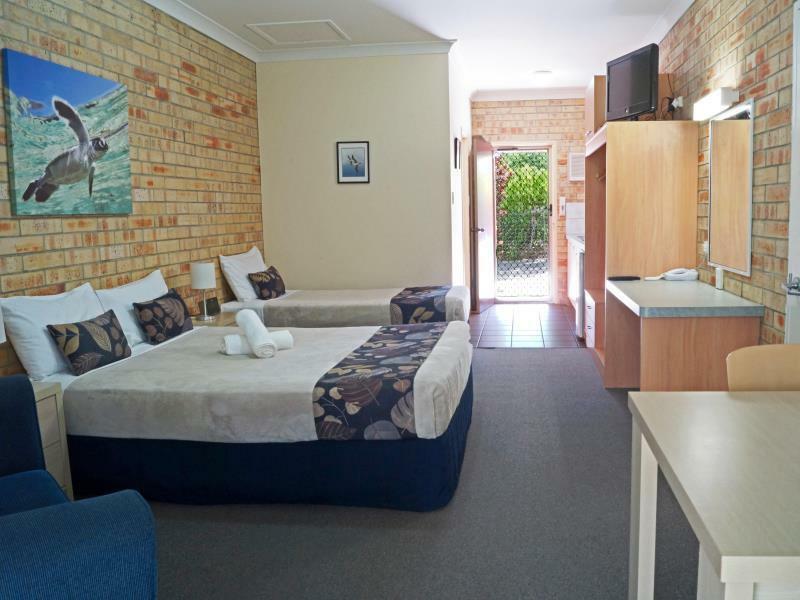 As for the rooms themselves, in addition to clean, crisp sheets and the aforementioned amenities, they are decorated with some of the outstanding Great Barrier Reef photos taken by the lodge's owner, Rob Lennon. His masterful images got us psyched up for our own reef experience on Lady Elliot. Very Happy with our stay. The receptionist was lovely and very helpful. We arrived beyond the office hours but were greeted with a very nice hand-written letter to welcome us with a key and instructions on how to get in. Then to our surprise the manager came out and showed us to our place. This place is amazing, clean, and you get way more than you pay for. Need a car to get around, but Hervey Bay doesn't have a true downtown so not a big deal. Would definitely recommend !! Good location, privacy, everything you need is there. Nestled close to everything there is a little gem, surrounded by trees and birds. That's Emeraldene Inn. 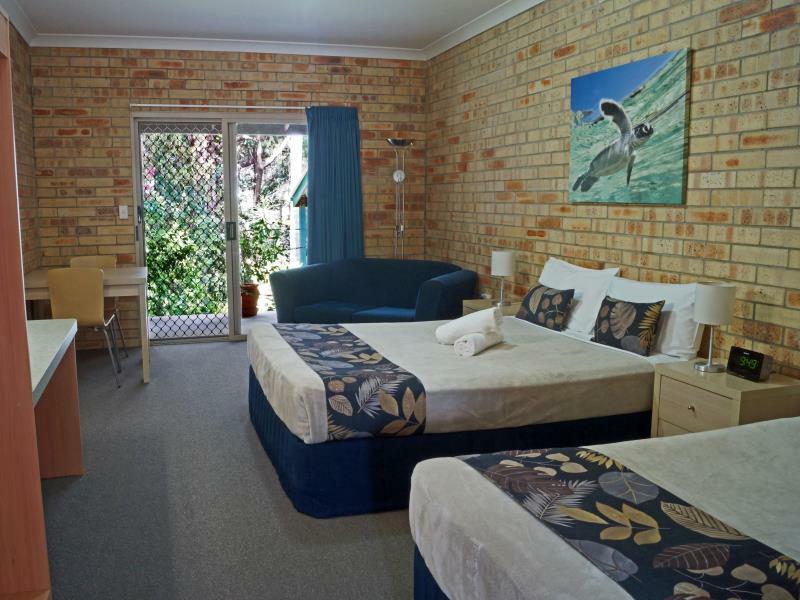 The rooms and surrounds provide seclusion and break for the hustle and traffic that is now part of Hervey Bay. Well recommended. I stayed here for 2 days and was most impressed with the host who helped me all the way from booking the accommodation to arranging our Fraser Island tour. We got a little late reaching the lodge but he was kind enough to wait for us and also provide us with a little detail regarding the city like restaurants and retail stores. The family apartment we stayed in was large and has a fresh feel to it. There is parking available right in front of the apartment just like you will have at your home. The only issue with rooms could be that there is only one bathroom in the family apartment. Also, there is just one air conditioner in the living area and none in bedroom. 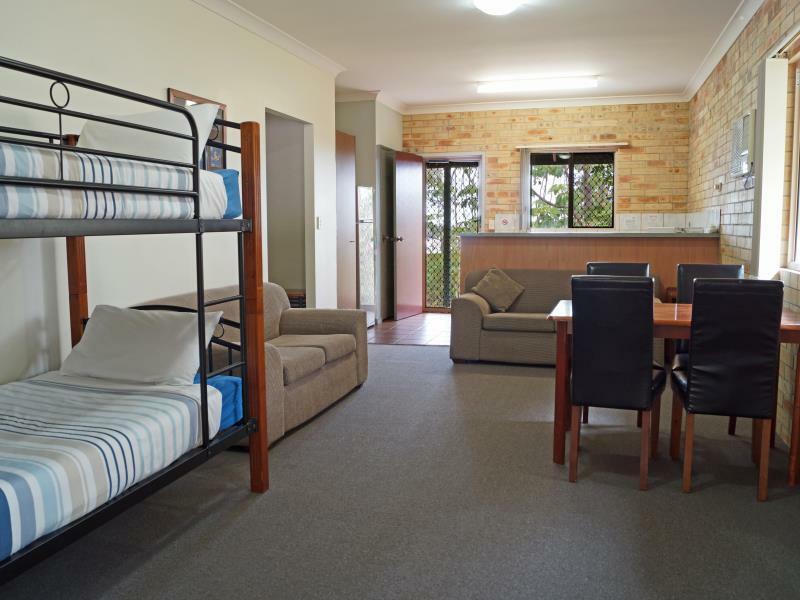 Gorgeous location and very comfortable and spacious rooms. Rob, the manager, could not have been more helpful. He is a master at arranging tours at the last moment and we had a marvellous time at his Motel. He can even arrange a hire car to be delivered to his Motel. 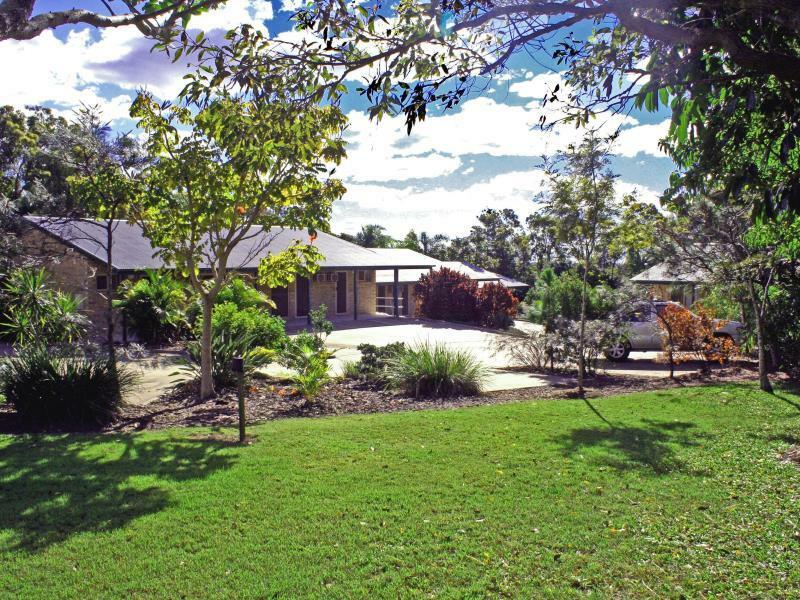 Hervey Bay is a dream location and Emeraldine is a dream accommodation. We will return to Emeraldine! le boss est convenable sans plus, peu enclin à rendre service. sa réception est très sale...les chambres ne sont pas deluxe , et le jardin, qui pourrait être sympathique, est mal entretenu. Un hôtel qui combine le charme de la nature et le confort. Grosse Zimmer, grosse Veranda, super Gastgeber, sehr hilfsbereit und organisiert abends um 20h, wenn man so spontan ist, sogar auch noch Ausflüge. Gibt einem wertvolle Tippx und Karte. Die Zimmer sindcsehr geräumig undcsehr sauber. Muy buen hotel/ motel. Muy limpio y acogedor, hay café soluble y té , microondas y algo de vajilla. Sin coche puede ser un poco complicado ya que no hay nada alrededor para comprar o salir, pero es ok para ir de excursión a Fraser Island ya que muchas agencias ofrecen servicio de recogida en hotel y está en la lista de los hoteles donde pasan a buscarte. Lo aconsejo sin duda. Stanza comoda, pulita e in perfetto stato, silenzio e verde intorno, personale molto gentile. Siamo stati due notti, non consecutive in due stanze di diversa categoria. Dopo la prima abbiamo deciso di ripetere, senza il minimo dubbio. Non abbiamo usufruito di colazione, piscina o altri servizi, ma solo dormito. C'è il bollitore, tè e caffè solubile, stoviglie, frigo, un microonde per scaldare qualcosa. Ma non per cucinare. Ho dato punteggio medio al mangiare come richiesto dal sito dato che non ne ho usufruito. Il bello è il silenzio e il giardino, le stanze in perfette condizioni, e un punto in più per l'attenzione verso l'ambiente. Nelle immediate vicinanze non c'è niente, bisogna prendere l'auto se si vuole un po' di vita o fare un po' di spesa. In base alla nostra esperienza lo consigliamo assolutamente.